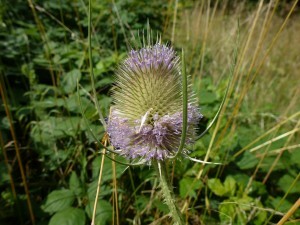 Teasels can be found all year, the full-grown plants often standing tall above the surrounding vegetation. 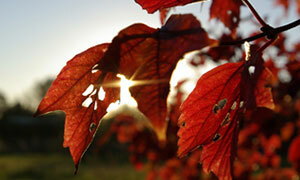 They are biennials, and start off in their first spring as neat, almost flat rosettes of leaves. The tall flowering stems grow in the second year. Late July to August is the time to see the magnificent egg-shaped flower heads made up of little pinkish purple flowers and striking green bracts. The flowers open in rings round the centre of the head, eventually joining up to cover the whole surface – or sometimes not. It’s worth looking closely at the intricate patterning of the heads, and gently feeling their prickly surface. They were once used to comb out fleece ready for spinning, and to finish wool cloth by brushing it to a soft, smooth pile. 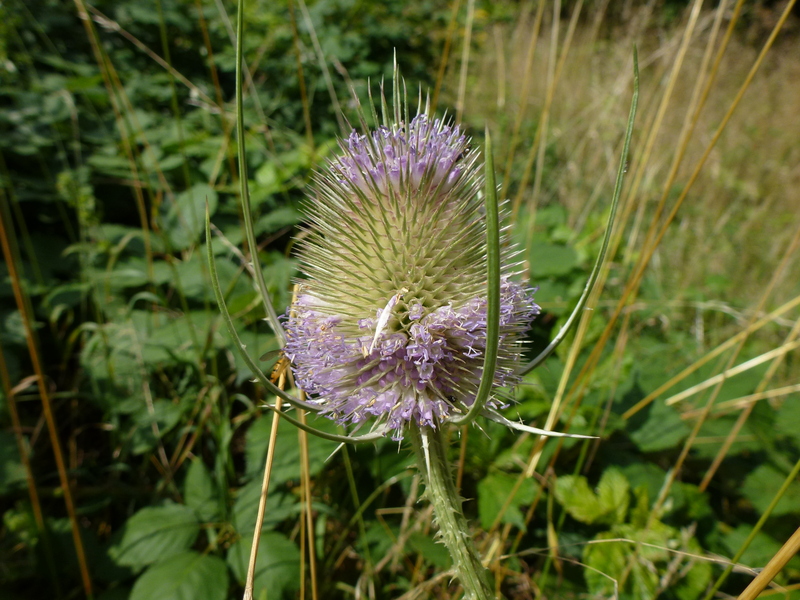 Apparently some quality manufacturers were still using Teasels in preference to mechanical substitutes as late as the end of the nineteenth century – though by then they were probably using a cultivated non-native variety known as Fuller’s Teasel. As the flowers die back and the seeds ripen, Goldfinches move in. These bright little birds love Teasel seeds and their bills are specially adapted to pick them out. Luckily they miss or drop one or two to ensure next year’s new plants. The tough dried-out stems and seed heads will stand through all but the worst of winters and you can often see last year’s dead plants alongside the newly flowering ones. At St Nicks, Teasels grow in a number of locations but one of the easiest places to examine them closely is at the bottom of the Bund steps.